At the same time, CM Adityanath promised to implement similar Metro projects in other cities of the state. While the trial run took place in December 2016, the Commissioner of Metro Railway Safety (CMRS) cleared the file on August 14, nearly nine months later. The foundation stone for phase-1 of the North-South Metro Rail Corridor project was laid by ex Chief Minister Akhilesh Yadav on March 4, 2014. Kumar Keshav, Managing Director, Lucknow Metro Rail Corporation (LMRC) said this corridor is part of a 23 km North-South Metro corridor which is being executed by LMRC from Chaudhary Charan Singh Airport to Munshipulia. “The second proposed corridor, which is 11 km-long is called the East- West corridor,” said Keshav, adding that the target is to finish it by April 2019. 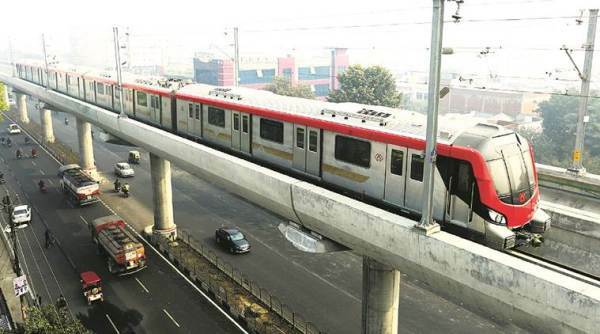 The Lucknow Metro will also have the “most advanced signaling and train control system”, called Communication Based Train Control System (CBTC), which will enable trains to virtually operate on “driverless” mode.